This is a great opportunity for anglers interested in Cuba to fish one of the most protected marine areas on the island at a very good price. 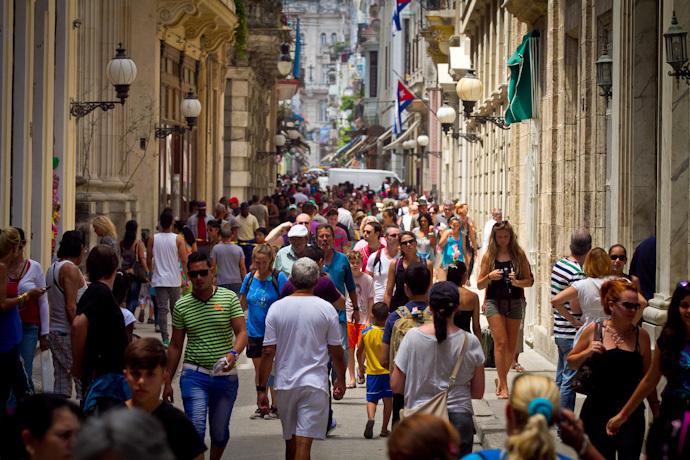 Jon Covich, FlyWater’s specialist for Cuba, will be hosting this trip. 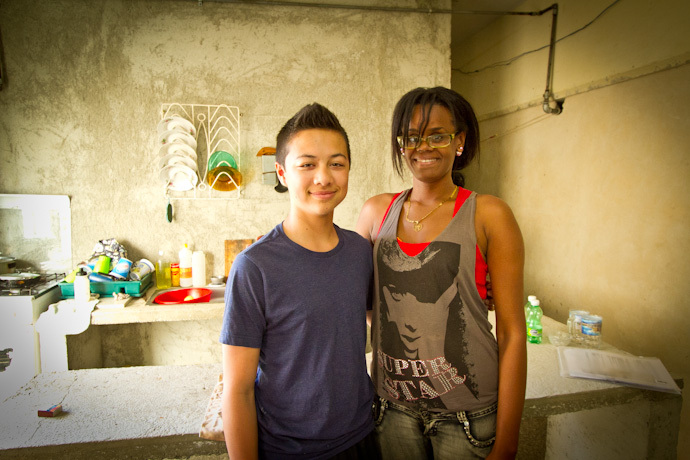 This will be Jon’s 15th trip to Cuba, and he will be an indispensible help both before and during your week on the island. 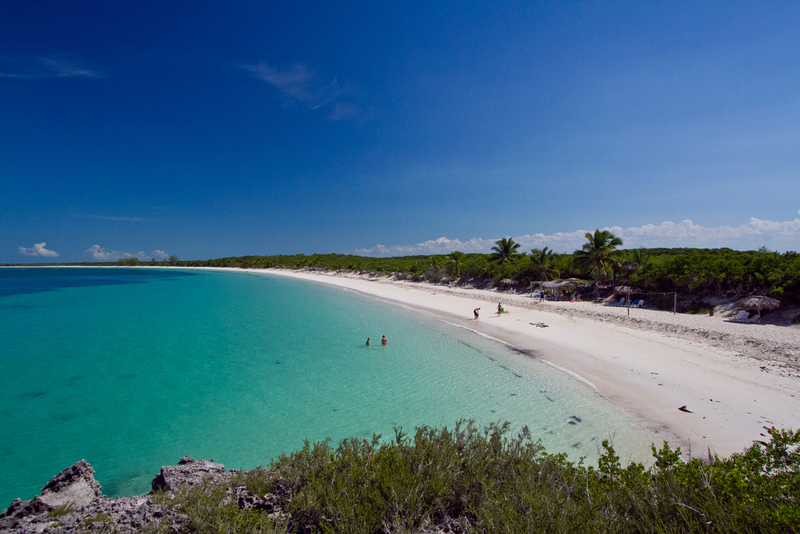 The ZAPATA PENINSULA is located on the south-central coast of Cuba. 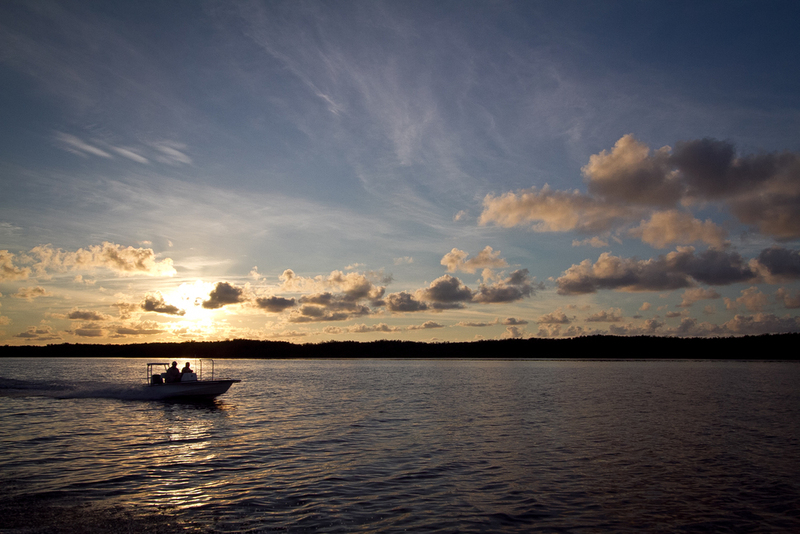 Most of the peninsula is a national park, and makes up the largest protected wildlife area in the entire Caribbean. 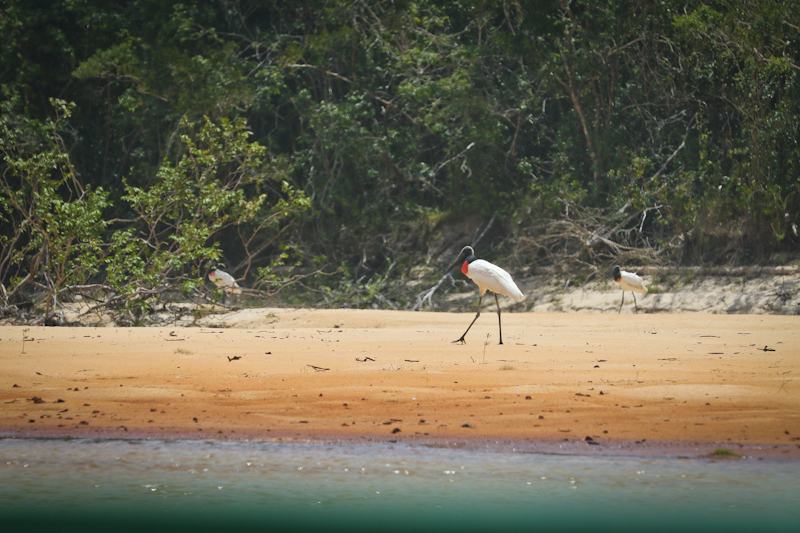 Noted as one of the best bird-watching destinations in the world, it is home to 175 bird species, 900 species of plants, and 31 reptile species including the Cuban Crocodile. The landscape of this area is very similar to Everglades National Park in Florida. 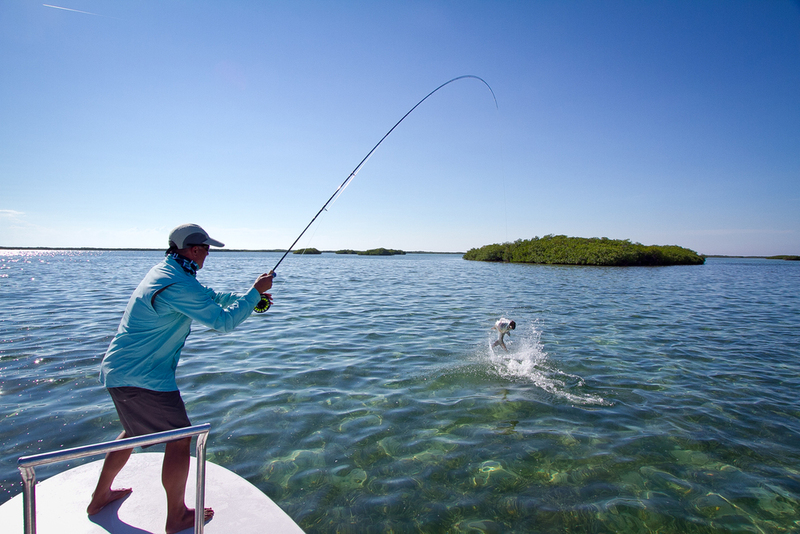 The expansive flats that extend from this huge mangrove swamp are an amazing fishery, particularly for Bonefish. 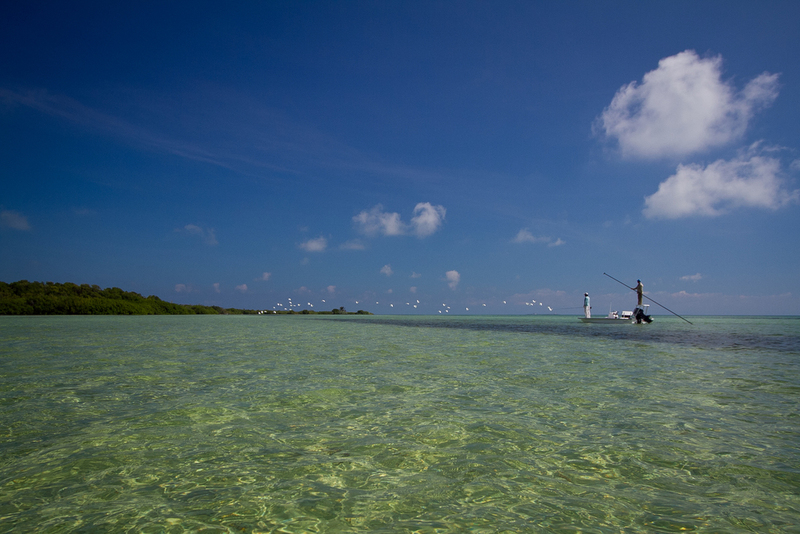 The flats themselves vary from soft to very firm, and anglers do have the chance to fish both from the skiff and wading. 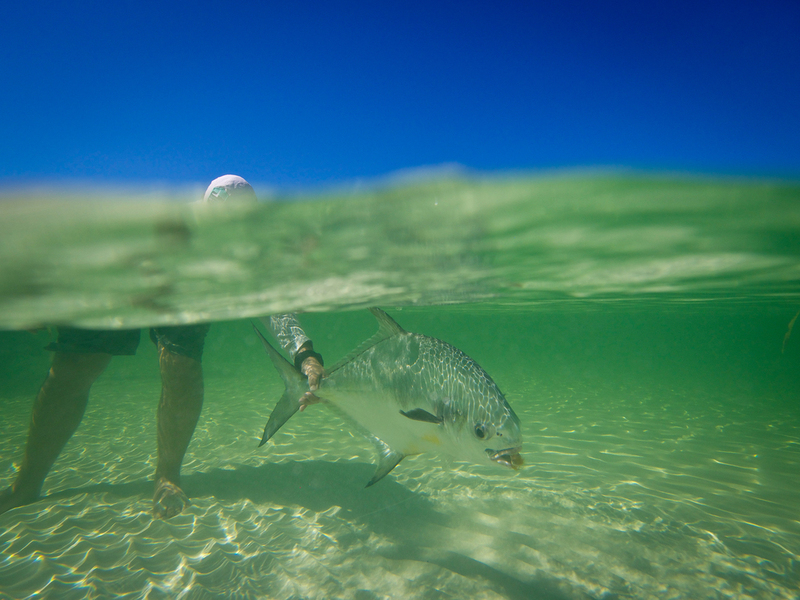 Bonefish are prolific, and range greatly in size. While most fish caught are between 3 and 5 pounds, fish pushing double digits are landed fairly regularly. There are also Permit here, particularly in the outer edges of this vast expanse of flats. Resident Tarpon are found as well, often in the slightly deeper water of the channels and lagoons, or in the mangroves themselves. Jacks, Snapper, Barracuda and Snook are also present. The first night aboard Georgiana is spent in port, giving everyone time to get situated in their rooms, and to arrange tackle. Early the next morning Georgiana steams to a remote moorage, and once anchored, guests begin their first full day of fishing. From Georgiana, rides to the fishing each day will be short, and can be varied to the kind of fishing anglers desire. Best of all, each guest fishes three days in a single skiff, and three days in a shared skiff which means significantly more fishing time per person than all other destinations in Cuba. Guests return directly to Jose Marti airport for flights home (unless otherwise arranged). It is recommended that departing flights be scheduled no earlier than 5:00pm on that day. I just returned from a week in the Brazilian jungle with a great group of guys from across the US. This was my first trip to the Amazon, and based on the experience, it will not be my last. 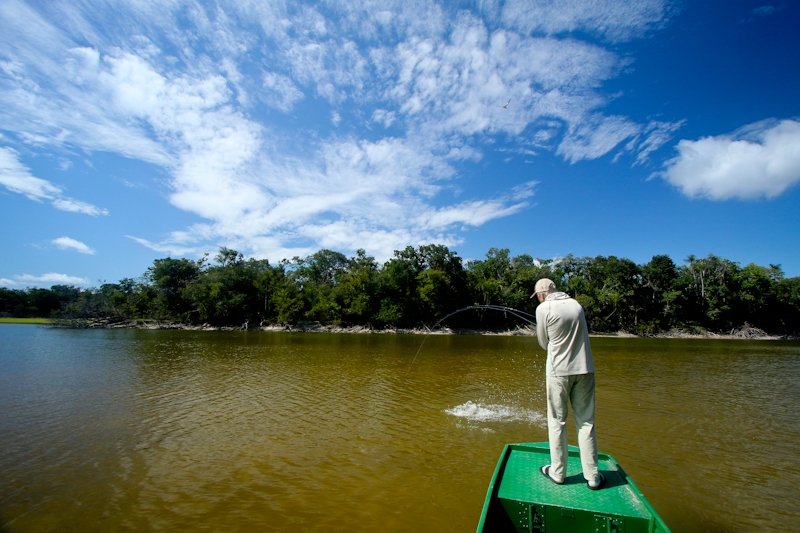 Agua Boa is one of the most respected fishing lodges in all of South America. Guests fly to the lodge from Manuas in a private charter and land directly at the lodge's airstrip after about 2 hours of flying over the jungle. The lodge can accommodate up to 12 guests, in very comfortable cabins all with their own bathroom and shower. The lodge facilities are amazing given where you are ultimately at, and include a freshwater swimming pool, game room, and sitting room with satellite TV. Carlos, the manager, along with Matt Ramsey who hosts at the lodge for part of the season could not have been more accommodating and attentive to our group. Auga Boa is a Peacock Bass fishery. 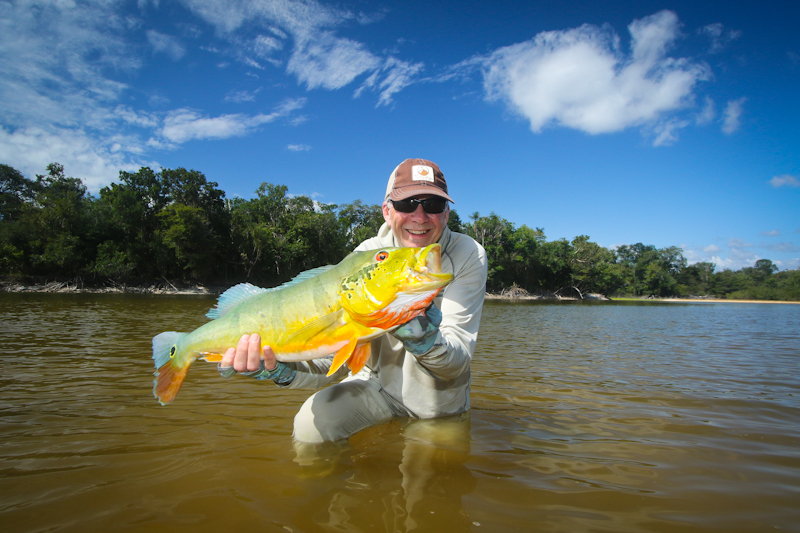 Yes, there are other species of fish here, but 95% of what anglers catch are the three species of Peacocks that inhabit the river, lagoons, and lakes isolated during the dry season. Most boats in our group caught bass over 10 pounds every day of the trip, with the biggest reported at around 14 pounds. The fishing changes dramatically here, according to the lodge, throughout the season. The river itself can recede as much as 15' from the high water at the beginning of the season, to the very low water of the late dry season, which is what we experienced. There are advantages to each. Higher water means that the fish are less spooky, feeling comfortable in the deeper darker water. In low water, there is more sight fishing, but of course the fish are able to see boats, fly lines, and poor casts!! For me, the best aspect of this trip was the isolation and incredibly intact environment. We did not see another person during our entire week, that was not part of the lodge. And it dawned on me after day 3 or 4, that I had not seen a single piece of garbage on the river.....not a plastic bag or bottle in sight! Furthermore, the wildlife was amazing. I was not prepared for the abundance, and size of the Black Caimans that we encountered, some of which neared 15'. 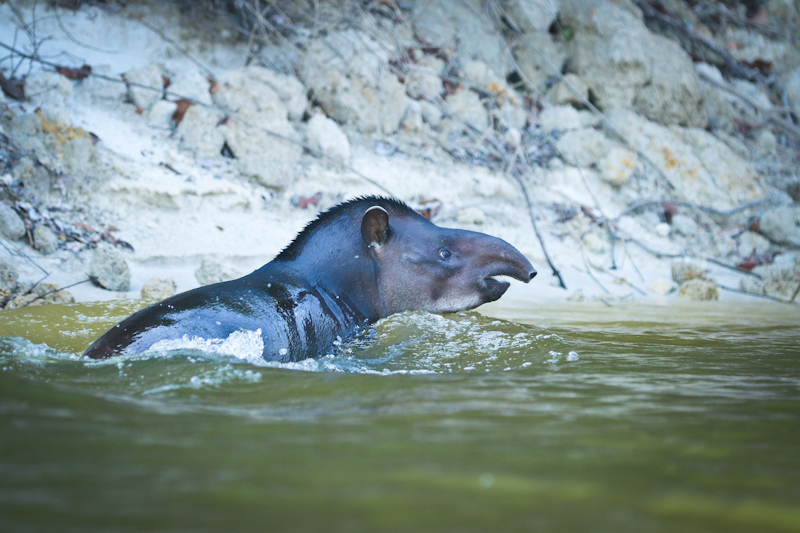 The group also saw several Tapirs, an incredible diversity of wading birds including huge Wood Storks, several species of monkeys, Amazonian River Otters, and freshwater dolphins. The lodge reported that for the past several weeks each group had seen at least one jaguar. Look for announcements. I will more than likely host another group next year, and would love to have you join! 1 SPOT OPEN AT GARDENS OF THE KING CUBA: April 30th-May 8th 2016. We have a recent opening for 1 person to be the final spot in a group of 8 going to Gardens of the King at the end of April. This is one of the best Tarpon Destinations in all of the Caribbean, and this week was specifically chosen by the group for its dark moon phase. 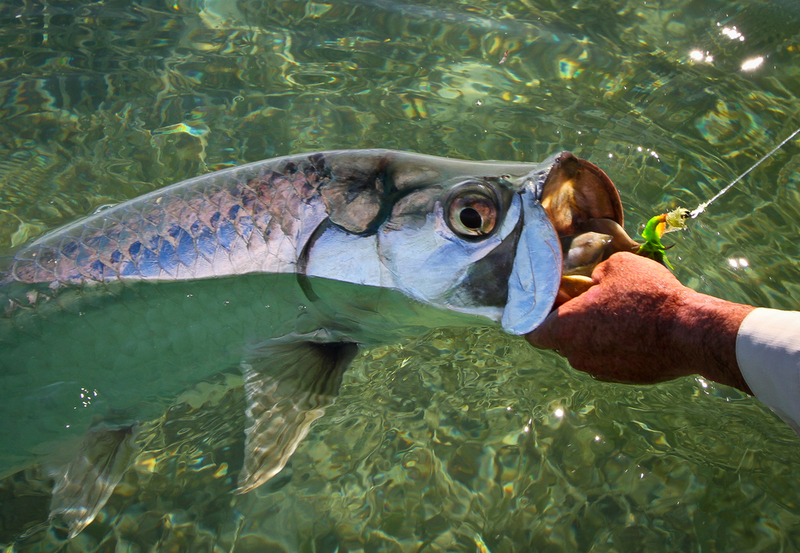 According to the outfitter, this may be the best Tarpon week of the entire season. There is only 1 spot available. Skiff and accommodations are double occupancy. The price is $4670, and includes 1 night in Havana, transport to and from GOK, 6 full days fishing, all meals, drinks, and accommodations.